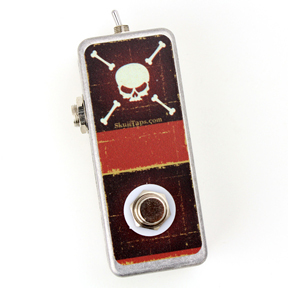 The Polarity Skull Tap is a momentary footswitch that also has a polarity toggle switch. This polarity switch will allow you to toggle between Normal Open and Normal Close operations. Normal Open will be compatible with many tap tempo devices. Normal Close is required for Boss RC Loop Stations. If you’re not sure about what mode you need, this is a good option.